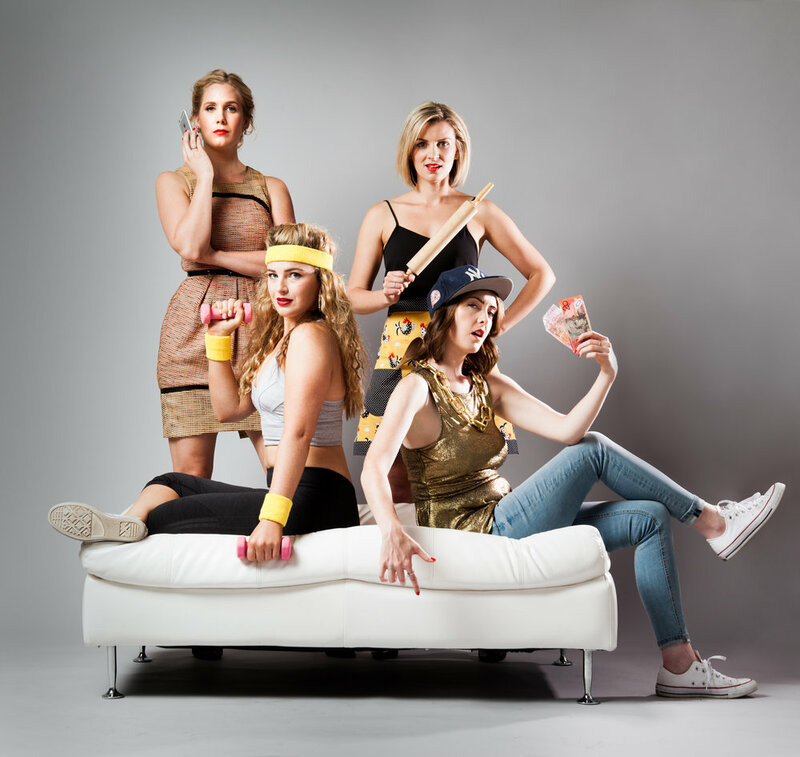 Specialising in original songs as well as impertinent parodies, a cappella girl group Ginger and Tonic rely solely on their voices to create their unique sound. The four girls have their audiences transfixed with their superb harmonies, and leave them in stitches with their wicked humour. Since forming in 2010, Ginger and Tonic have performed as a headline act at the Festival of Voices in Hobart, toured to Germany to perform at the International A Cappella Festival in Leipzig, and in 2012 won first place at SingFest – Australia's leading a cappella festival and competition. They have performed at festivals around Australia including Port Fairy Folk Festival, Melbourne International Comedy Festival, Perth's FringeWorld, Adelaide Fringe, Melbourne Cabaret Festival and Queenscliff Music Festival. Their cabaret show Desperate and Dateless earned them a Green Room Award for Best Musical Direction in 2015. Ginger and Tonic debuted their latest cabaret show, For Love or Money, in 2017 to 5-star reviews.